Built For Businesses That Want To Drive Growth Easily. EvantoDesk is quick to configure using our Quick Start Wizard and we'll even do this for you if you like, just contact us. Your team will be able to start using EvantoDesk in no time because it is so similar to using an email system, such as gmail. 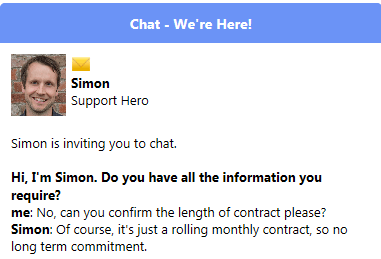 Customers just get an email back and so have no idea that you are using special software to manage your communications (unless you want them to - in which case you can easily change EvantoDesk to include ticket numbers like a traditional help desk ticketing system). EvantoDesk ensures that everyone easily knows who is dealing with what and when. The collision detector detects if more than one agent is viewing a ticket at the same time. If they are then each agent is alerted instantly. The collision detector also instantly alerts each agent if another agent is typing a reply, forwarding the ticket or adding a note. EvantoDesk's crisp and simple layout makes dealing with tickets a pleasure. Insert canned responses, loop colleagues in behind the scene using notes and @mentions or use workflows to speed up ticket processing. Workflows increase your teams productivity by performing any number of automated actions on tickets in the background. .... assign the ticket to Ivana and set the priority of the ticket to Urgent. EvantoDesk makes collaborating between team members easy. Tickets can be assigned to a team member and/or a group of team members. 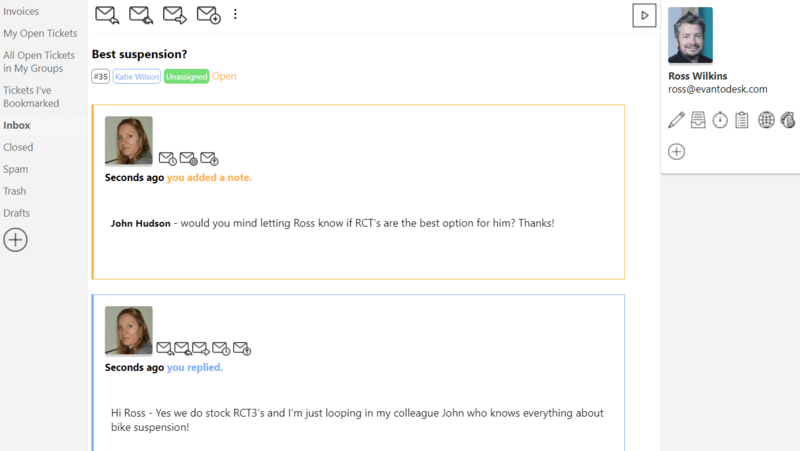 Notes can be added and team members alerted easily using @mentions. See our Help Doc. You can respond to tickets and perform actions on them directly from your personal email. This is useful if a customer emails you directly. You can simply forward the email to EvantoDesk and EvantoDesk will create a ticket on behalf of the customer. If you include an assign, note and reply command, EvantoDesk will assign the ticket to the specified agent, add a note for them and reply to the customer. For more info, please see our Help Doc. Our beautifully presented, fully integrated, fully featured live chat plug in (find out more). 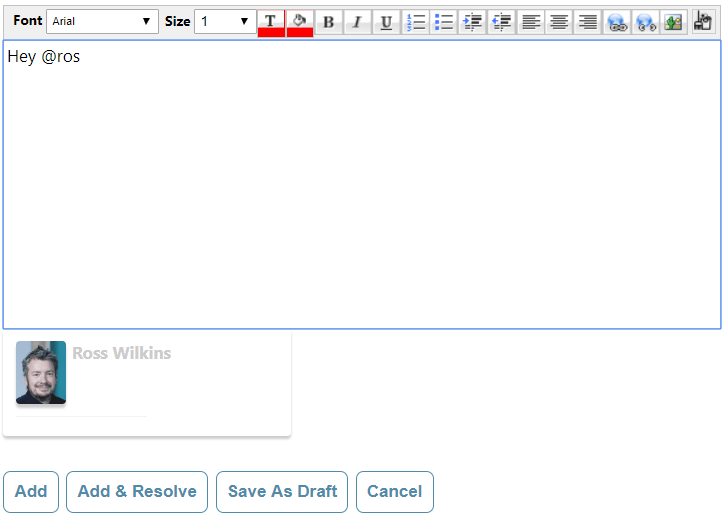 Another feature you can add is our knowledge base (help docs) plug-in. A knowledgebase is a great tool that will reduce your volume of customer queries by giving your customers 24/7 support. You can use it as part of your existing website (e.g. host it at help.mycompany.com) if you wish. A knowledge base contains articles about your company, products and services and will reduce the amount of customer queries you get as they can easily get the information they need online. 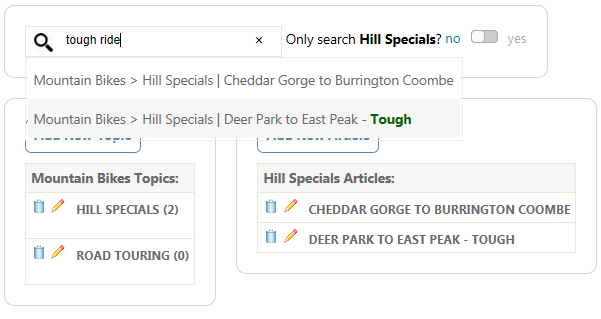 If you don't like the name 'Knowledge base', then you can change it to anything else, such as 'Help Docs' or 'Articles'. 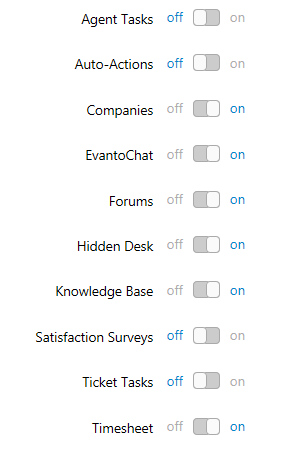 Check out our very own utilisation of the EvantoDesk knowledge base! Bring all of your tweets, facebook posts and messages into your inbox so that you can easily track your social media communications and reply directly from your EvantoDesk inbox. Access EvantoDesk on the go with our iPhone & Android Apps! 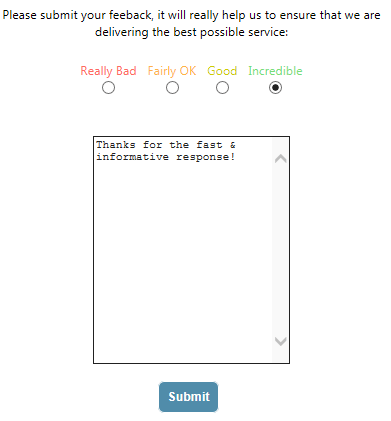 Be sure you are delivering incredible customer support by turning on our customer survey plug-in. Your team will have fun competing to become top of the support hero league table! You can import data from your existing email system. EvantoDesk allows you to import emails/tickets, agents, agent groups and customers. You can also export all of your data at any time. 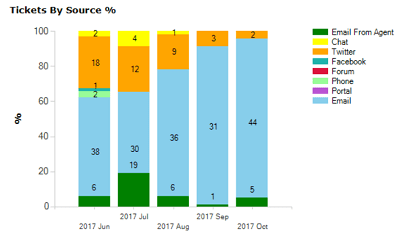 Beautiful reports and data analysis functionality. 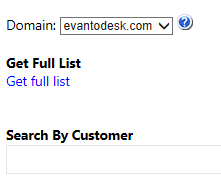 EvantoDesk can be bolted on to your existing website easily, e.g. as help.mycompany.com. This allows you to have a knowledge base (documents) and/or a forum on your website.You can also allow customers to submit tickets online if you wish. It can be rebranded to match your existing website color schemes and can display your company logo. 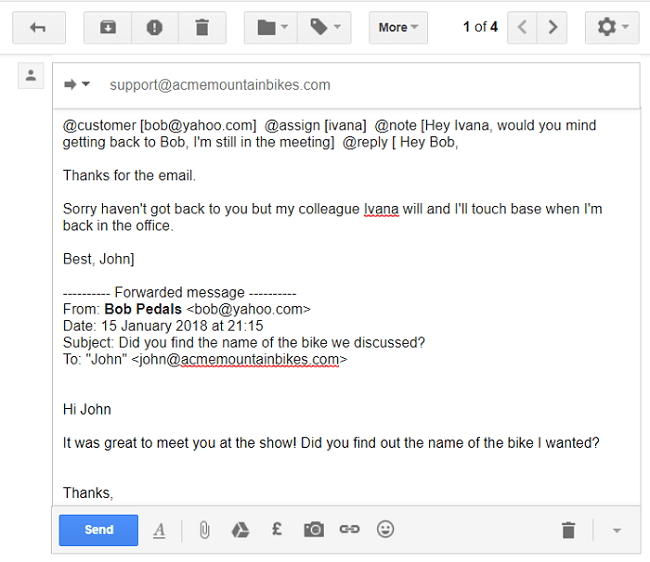 Canned Responses can be dropped into messages and notes to speed up response times. 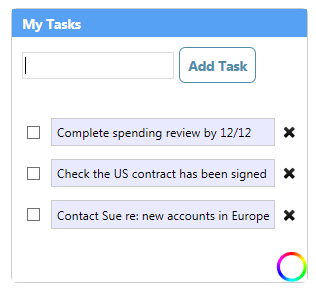 EvantoDesk allows your team to keep to-do lists for themselves and for their tickets. Each team member can bookmark tickets, allowing speedy and efficient navigation. They can also personalize their desk widget colors. Every email sent through EvantoDesk will include an unsubscribe link. This is an essential part of ensuring that your emails don't get put into your customers spam folder. EvantoDesk won't send out emails to unsubscribed customers, helping you to reduce your number of spam complaints. EvantoDesk allows you to remove customers from your unsubscribe and spam complaint lists. 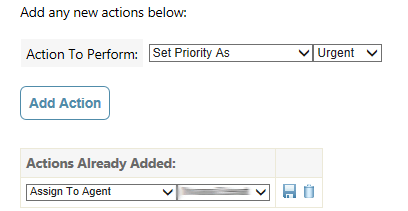 SLA's allow you to set the time that your team should respond to and resolve customers queries by. EvantoDesk allows you to have unlimited SLA's, so that emails from different companies, or for different products or services, can have their own specific response times set. You may wish to allow customers to submit tickets via a form on your own website. If so, EvantoDesk allows you to do this - simply create your own ticket form. If you are importing tickets from an existing system, you can match up your existing fields to those created on EvantoDesk. It's often useful to know that your email has hit your customers inbox. So EvantoDesk gives you confirmation that your email has been delivered with our tracking system. We've made EvantoDesk as easy as possible to setup and configure. There are no macros or triggers or great big user guide manuals. We have even built a Quick Start Wizard to speed things up further. And we'll also set things up for you <>for free if you like - please just get in touch. To get going quickly, complete our Sign Up form and then click on the Quick Start Wizard link and follow the instructions. EvantoDesk can integrate with many online apps, such as marketing or CRM software. 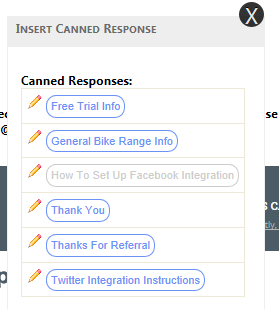 We are adding integrations to EvantoDesk as quickly as we can. For a current list please click here.